A member of the firm’s Healthcare and Employment Group, Brian is an experienced litigator, having successfully defended clients in state and federal courts in Massachusetts and South Carolina, up to and including trial. In his Healthcare practice, Brian represents medical providers and institutions in malpractice claims and before administrative agencies as well as insurers and plan administrators in ERISA litigation. Specifically, he has assisted in reaching a defense verdict in a malpractice jury trial in Massachusetts Superior Court, successfully argued dispositive motions in state and federal court, and has successfully represented clients before the Massachusetts Boards of Registration in Medicine, Dentistry, and Optometry. In his Employment practice, Brian represents employers in discrimination actions in court and before the Massachusetts Commission Against Discrimination. In addition, Brian counsels businesses in contract negotiations, contractual disputes, and employment matters. 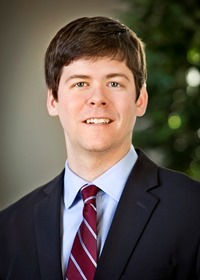 Brian began his legal career with a civil defense firm in Columbia, South Carolina, where his areas of practice included medical malpractice defense, workers’ compensation defense, and general liability. Breaking Up Is Hard to Do: Ethical Considerations and a Practical Approach to Dismissing Patients. Journal of the Massachusetts Dental Society, (Fall 2018), Authors: Thomas (Toby) Bright, Esq. and Brian E. Sopp, Esq. The FLSA Overtime Rule: A Shifting Legal Landscape, HMDR&S Legal Update, <https://www.hmdrslaw.com/flsaupdate.html> (September 2017). Evidence Review: Limiting Past and Future Medical Damages, The Defense Line, the S.C. Defense Trial Attorneys’ Association, Volume 42, Issue 1 (Spring 2014). Mendenall Provides Tort Liability Exception in Workers’ Comp Cases, South Carolina Young Lawyer, Vol. 5, Issue 8 (June 2013).